[Gifts between friends] Give gifts for Valentine’s Day! Valentine’s Day is a day full of love and joy! An ideal day to offer nice gifts to those who are dear to you. A selection of gifts is available for Valentine’s Day. Flowers, hearts, gifts, chocolate… It’s time to spoil your friends! Sarah reserved you a surprise! Unreleased color variations of some gifts have been added particularly for Valentine’s Day! Find these gifts directly on the page of gifts to offer with the other gifts. You will need “gift vouchers” to send a gift. If you’re running out of gifts vouchers , find them directly at the Bank! 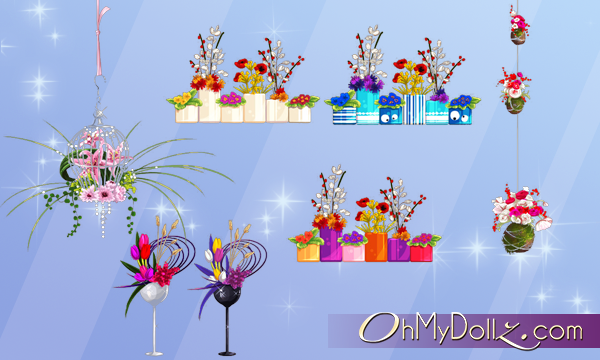 This selection of gifts will be available until Thursday at 11:59pm (Paris hour). Spoil your friends for Valentine’s Day on OhMyDollz!